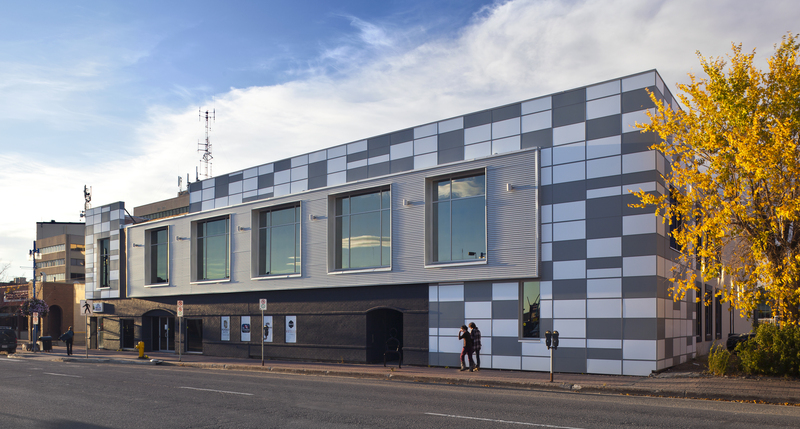 Located in Grande Prairie, a city in northwest Alberta, Canada, the Pomeroy Office project transformed a movie theatre into a dynamic workplace. 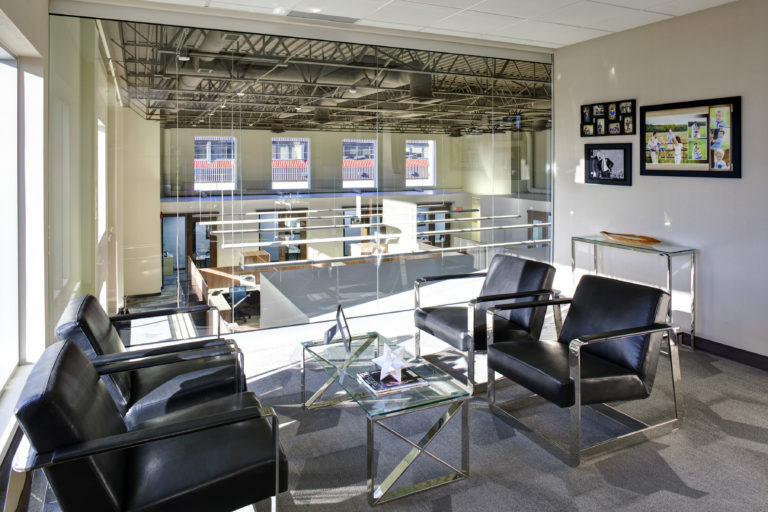 Defined by clean lines and a modern design, the Pomeroy Office involved converting an existing movie theatre into a corporate/head office, while retaining one theatre and gym in the building’s basement. Working without existing construction drawings, posed a challenge to the progress of this job. Leaders in implementing innovative technology, Turner Fleischer used laser scanning to create an accurate model that rapidly allowed work to begin. 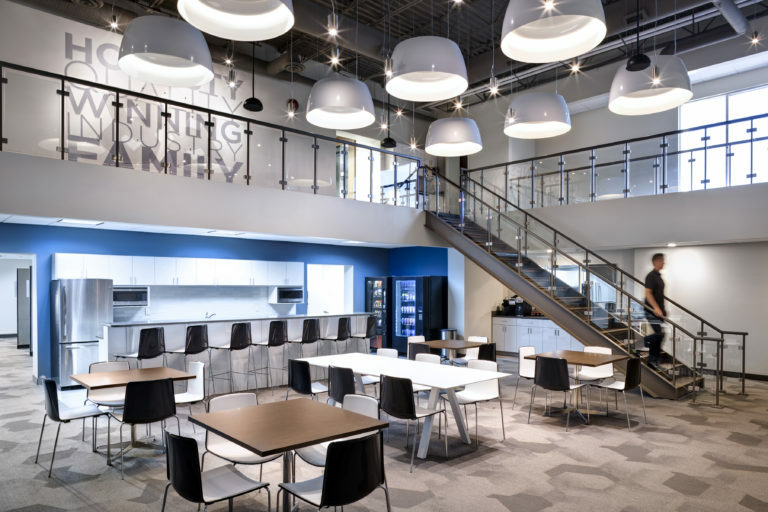 The use of this model also permitted and facilitated close coordination with our Interior Design team to ensure proper and accurate integration of all services and creative workspaces. To help visualize the final look, Turner Fleischer provided renderings for the client, which explored cladding options prepared to guide their selection. A distinctive final project, that reflects the modern approach Pomeroy envisioned, the site is now a hub of local community recreation and employment.